May | 2011 | Ipoh Mali Talak Sombong! It was about 4 years ago when my friend brought me to this place. Opens only for dinner, I just moved to KL not very long that time and I was totally blew away by the food served here – they are wickedly good! After my first visit, I have been going back occasionally (at least once every two months) except 2010 due to busy schedule with travelling, gym training, moving house etc. I finally made my way back there again few weeks ago! Was kinda overjoyed to see that they’re still around at the same spot and business was still good. 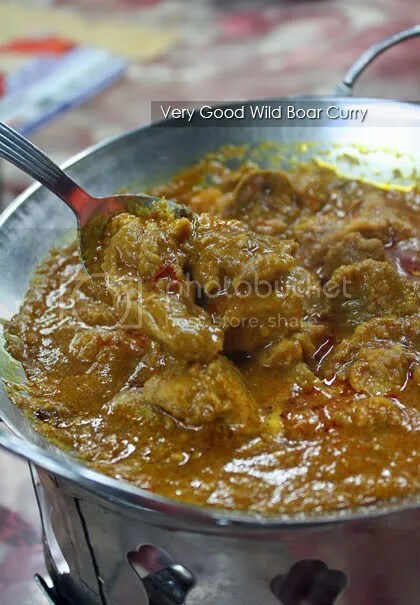 The heavy downpour that evening did not deter our determination to get our hands on their famous wild boar curry and other porky dishes – all home-cooked goodness. 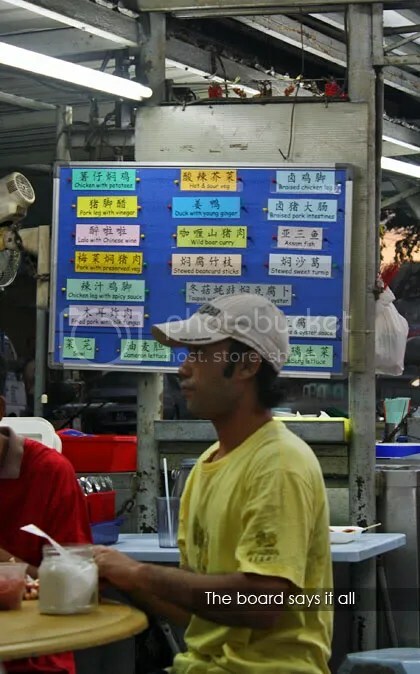 The rotate their dishes everyday, so if you want to know what they have for the night, just look at the blue board or the menu with pictorial guide and price. 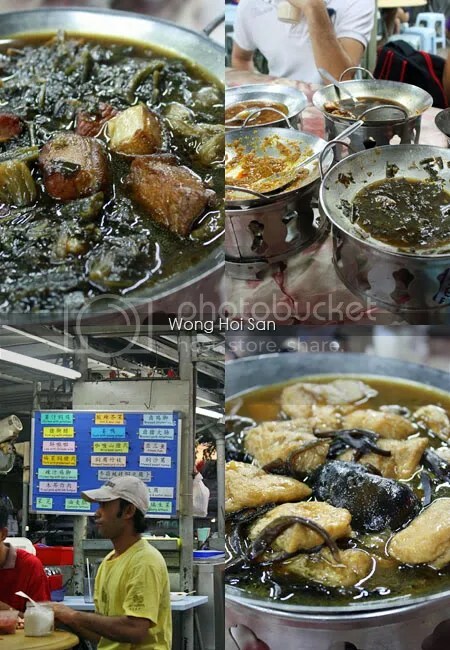 As I mentioned earlier, they serve a vast variety of porky dishes like the pig stomach and pepper soup, wild boar curry, chilli pork tendon, braised intestines, chicken feet, assam fish, vegetables, taufu and so on. They are served in a small wok with fire below to keep the dish warm. There were 5 of us that night so we ordered 5 dishes altogether. Pork with preserved vegetable (collage, top left) wasn’t as salty as I assumed it to be but it would be better if there are more pork than veggie (ahem); Beancurd puffs with mushroom and dried oyster taste like mother’s cooking (no bluffing here!) 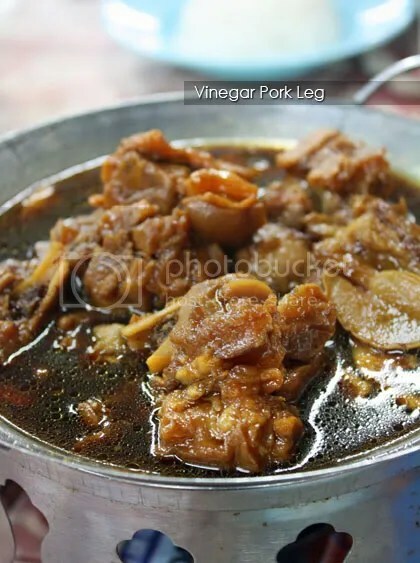 and the Pork leg vinegar was surprisingly not too sour and has a sweet tinge to it. The meat were fork-tender (gosh!). 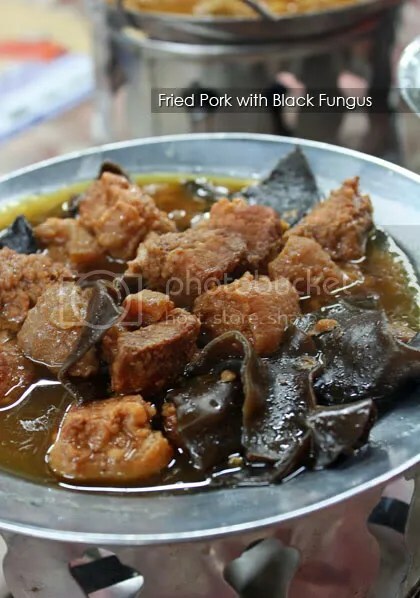 This resembles the Hakka char yoke (Hakka fried pork) with the pork first marinated in red preserved beancurd (fu yee) and then cooked with black fungus (muk yi). Again, really fork-tender meat and the gravy is good to go with rice. But then, the star of the night was the wild boar curry. Thick, aromatic and spicy, the gravy is another great alternative with rice. The wild boar has no pungent smell, only tender, succulent meat. And when I say tender, they are reaaaaalllyyy tenderr! Don’t believe me? Even Jackson and Tankiasu said so! *Close on selected Saturday night. All dishes price ranging from RM6 – RM9.